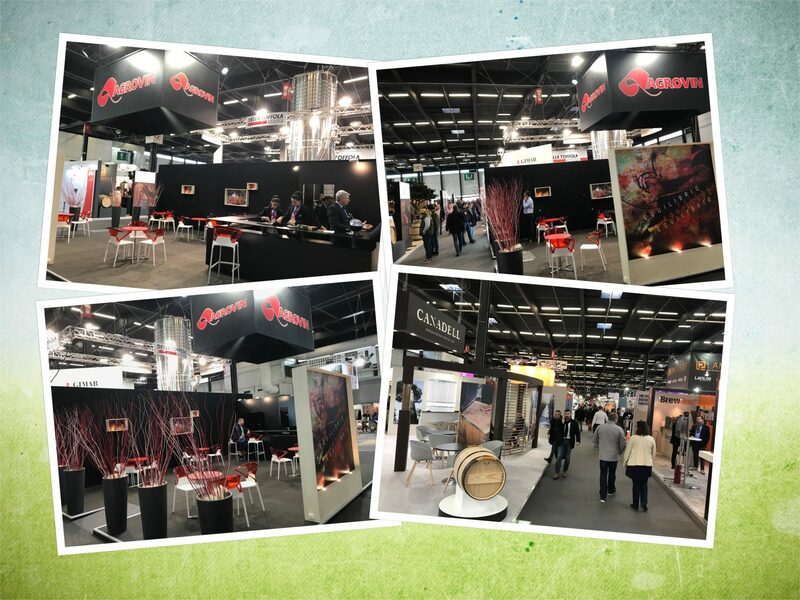 Between the 20th and the 22nd of November, the International Fair for professionals of the wine and fruit and vegetable sector took place in the Fairground of the French town of Bordeaux, Vinitech Sifel. Vinitech Sifel offers attendees an overview of the rapid evolution and new challenges in the wine industry and has once again served as a platform for exchange, business, discoveries and useful tool with the implementation of numerous services designed for its visitors. In addition, they have been able to enjoy numerous Conferences and Talks of maximum interest and topicality, and of course of the exhibition areas of the different companies (850 exhibitors) where they have been able to find the equipment, services and innovations dedicated to the reception of the harvesting, vinification, aging and storage of their wines. As in previous editions, innovation trophies were also awarded. Due to the importance of this event, AGROVIN has not been able to miss this appointment. The attendees had the opportunity to visit our Stand (Hall 1, Hall C, Calle 33, Stand nº3304), request information from our technicians there and access all the information and information they requested or were of interest and, of course, Enjoy 3 wonderful days surrounded by the best.